Organizing a meeting is just as important as the meeting itself. However, meetings are often unorganized, without purpose or agenda and they often go off-topic. Because of this, meetings are the number 1 time waster in the workplace. We know you probably attend and organize a lot of meetings, so here are a few easy steps to make your meeting plan more efficient and successful. Very often meetings are scheduled unnecessarily. “Let’s schedule a meeting” has become the default response to a lot of business issues. Have a few ideas to share? Let’s schedule a meeting. Struggling with completing your tasks? Let’s schedule a meeting. Want to keep your co-worker informed? Let’s schedule a meeting. Of course, a meeting can be the right solution in many cases, but it’s not always the right answer. When you’re building the strategic plan for the year ahead, it’s clear you’ll need to meet. Take some time to figure out why you need this meeting. Ask yourself questions like “Do I need outside input to make progress?”, “Does moving forward require a real-time, face-to-face meeting?”. Maybe an email or even just a conversation by your desk will do the job. Who should be attending? Decide who needs to be there and make sure that someone you trust will take the meeting minutes. Where should the meeting be held? Choose healthy working conditions. Make it easy for people to hear, see, interact, and move around. What time should the meeting start? What time should the meeting end? Do you need any tools during the meeting? Determine what type of meeting it should be. Are you going to brainstorm? Is it a Scrum meeting? Are you having a meeting to share important information? Ask yourself, before you start writing the agenda: what is the goal of this meeting? What are the results your group needs to achieve by the end of the meeting? Write them down, these objectives give you a reason to meet. Know why you called the meeting, what you hope to accomplish as a result and what action you expect from the meeting. Send an invite to every attendee stating there will be a meeting, the goals of the meeting, the meeting agenda as well as the details such as when and where it will be. Also, send relevant documents or include other information if people need to prepare something for the meeting. Make sure people have enough time to prepare for the meeting. Ask those invited to accept or decline the meeting. To get feedback, do a survey in advance or collect ideas at the meeting. The meeting leader can go around the table and ask each participant to share an idea until the list is complete. Listing ideas on a flip chart as they are mentioned helps everyone at the meeting see them all easily. Follow up with assignments and agreements. So, to hold a successful meeting, take time beforehand to clarify its purpose and plan the agenda. Planning a thoughtful agenda with tasks and processes that engage group members will help create more effective meetings and good results. Want to learn more about how to overcome different meeting problems for better meetings? Check out our blog about 6 common meeting problems. Let GAIKU guide you! We’re optimizing GAIKU to be your perfect meeting guide. 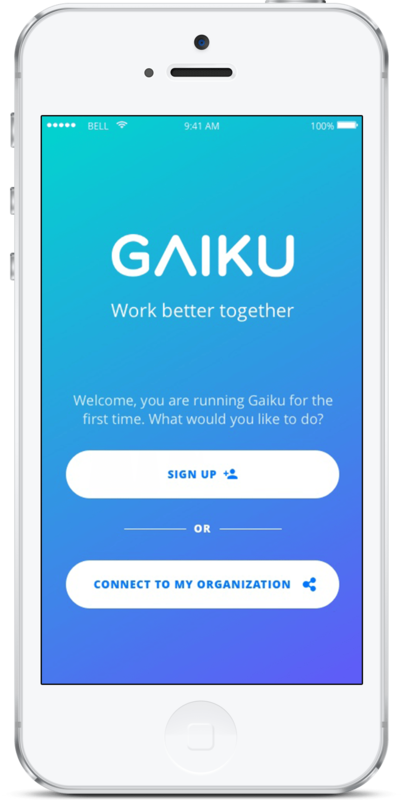 GAIKU gives active guidance before, during and after any type of meeting. You can choose a meeting agenda template, use the voting feature to come to a consensus, have a perfect video conference, and more. Sign up today and improve your meetings!